WOW. 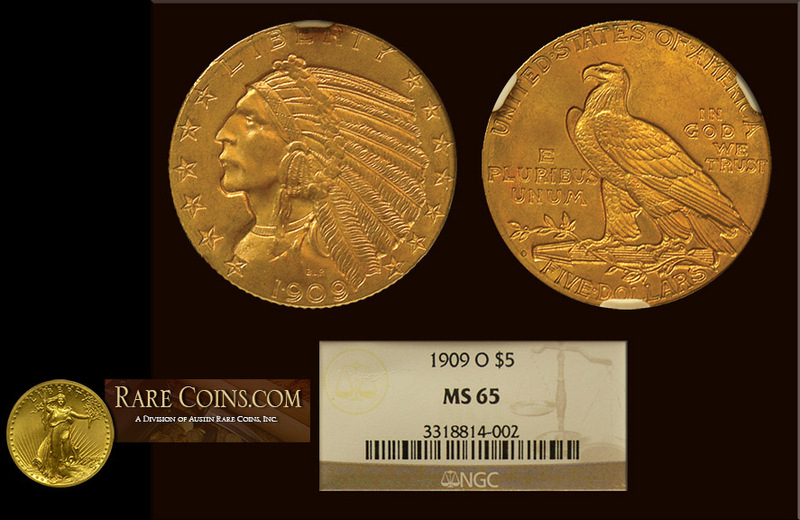 The 1909 O $5 Indian is the only Indian head coin struck in New Orleans and is highly coveted as a result. This issue was rare from the day it was produced at only 34,200 issued. In Mint State 60 this coin trades readily for well over $25K, so to encounter a gem example is truly an astonishing feat. This is without a doubt one of the most expensive coins we’ve ever handled and it currently resides in a private collection in the mid-west. This is one of 3 coins known in MS-65 with one finer example in MS-66, which recently sold at auction for nearly $700K.